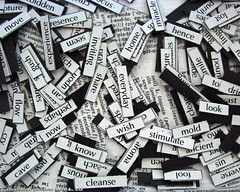 Again, in honor of poetry month, another example of words that make me smile. Haiku is traditionally written in the 5-7-5 syllable formation and is meant to evoke a feeling or sensation or to describe something. 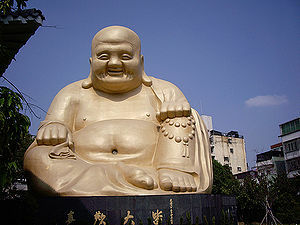 It can be a powerful meditation or be silly fun. There is a haiku category on craigslist, mixed in among the jobs and classifieds. 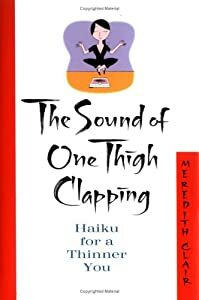 I own a book called “The Sound of One Thigh Clapping: Haiku for a Thinner You,” (Meredith Clark, 2003) which is a book of meditations on dieting. Mostly very silly. Fight fat with peanut butter…! One grand Memorial Day Weekend, my cousin Emily and I sat on my deck, grilling burgers, laughing over this book, and writing page after page of haiku. I have searched and searched, but I think it’s lost. I’m sure it was all brilliant. At least some of it, anyway. It may seem like a simple thing to do, write five syllables, follow it with seven and then five again, but it is more complicated than that. Japanese haiku differs from English haiku. WikiHow has a page dedicated to it, and step 6 is PRACTICE. 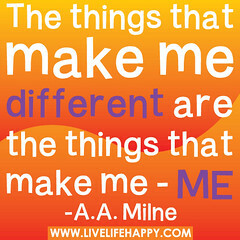 I think I’ll practice a little and see if I can recreate some magic that I once felt I possessed! Feel free to practice in comments here! I’d love to see your haiku.